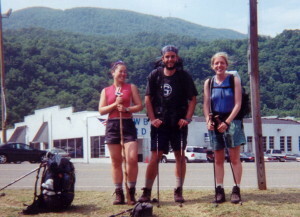 I’m posting descriptions of my past favorite trip – the Appalachian Trail. I am feeling my most civilisized in two months – at least as elegant as one can be with a forest gump/ castaway/ grizzly adams type of beard. Fortunately, I heard that beards are a fashion “do” this spring (although I am not of the source of that tip). I am staying at a cabin of one of my Dad’s friends near Waynesboro, VA. Thank you! I am about 800 miles into my trek with only 150 more to go (I am trying my best to ignore the fox hounds in the background). It is hard to believe that I am on my last leg of my journey through Shenadoah (sp) NP although I have caught the trekking bug. I think there are worse maladies to catch. The trail reminds me of the Canterbury Tales. 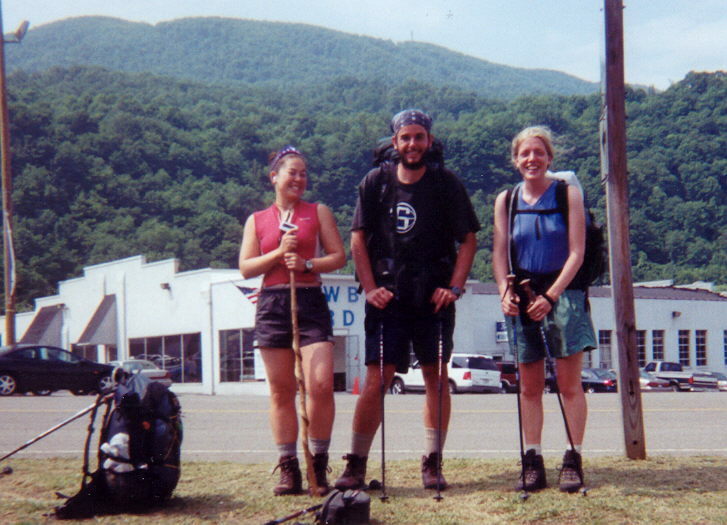 A motley collection of hikers are on a pilgramige to Maine, Harpers Ferry, or somewhere in between. People are from all walks of life with different motivations, but they do share some common aspects. Most do not currently have many “responsibilities” in “real life.” There are few folks with little kids or large mortgages, so folks tend to be either younger or older. Many are in transitions in their lives. This makes sense as 5-6 months requires a break of sorts. I’ve grouped hikers into the follow loose categories. The categories do blend a bit. Retirees – Their kids are grown (or non existanent). These folks often provide a point of inspiration. I think when I am in my mid 60s I am spry enough to hike the trail. They usually hike alone or in small groups, and often have good stories to tell. The youngest retirees I’ve met are in the mid 30s and worked for Intel during the right 10 years. Runaways – They are usually 19-23 and a bit aimless. They often hike the trail to “find themselves” and have vague plans about the future. Some can be annoying at times as they demonstrate how much they know (or don’t) at loud decibels. Competitors – This group is driven to do huge miles or at least better than their neighbors. They are driven by the physical challenge vs. spending time in nature. They push hard and often compare their hiking styles, gear, or speed with others. Goal oriented – These resemble the competitors, but they are a more bit mellow. They want to achieve their goals because they set it, however they are not adverse to slowing down. Closet hikers – These folks hike although they do not seem to enjoy it. They may especially appreciate the social aspect of the trail. Many folks are examining why they are hiking the trail (I’ll share my 5 reasons in my next message) as Central VA is tough. Many people have gotten off the trail (about 10-20% left of those who started by this point). It is hot – with temperatures into the 90s and comparable humidity. I sweated the most in my life three days ago, and staying hydrated is a struggle. Swimming in the James River or other swimming holes provide welcome relief. I often wake up early – take a long lunch/nap – and then hike into the evening. The bugs are aggressive. “Experts” also said all of VA was relatively hiking, so expectations were a bit off. We also hit some record lows in late May with ice storms, snow, and subfreezing temperatures. I learned that I prefer hiking in hail storms vs. cold rain since hail just bounces off. This area was also hard on trail familes as folks take time off, visit friends, or just drop off. Sometimes, the plots, subplots, and complexities of trail families is as rich as Shakespeare (although significantly less articulate). I must be painting a joyful picture with that last paragraph. In spite of (or maybe because of it), I am having an exceptional time. The Grayson Highlands in VA were one of my highlights. The balds and open terrain reminded me of South Park in CO, and wild ponies roamed the grasslands. In fact they will try to eat your backpack or if you are especially lucky, try to eat your shorts. This note is growing long, so I will try to be brief. My second biggest surprise on the trail (how social it was my biggest surprise) involves pain. I thought my body would not hurt anymore. It certainly hurts less, but aches are a constant companion. I’ve just learned to ignore it and give my body time to recover when necessary. I also have learned to push myself – past physical and mental walls. Sometimes the walls are insurmountable but not usually. I will conclude with a few sketches of trail individuals. Tough Enough and Scratch – This father and son (age 14) duo from Cincinnati are hiking the trail. The son is the only guy on the trail with homework. The Dad promised Tough Enough’s Mom that they would never hike out of sight of each other from six months. That is quite inspiring and also a lot of time with Dad. Tru – This woman from Maine is quite nice and an incredibly strong hiker. I hiked with her one day in the Smokies and got my first massive blister from the walk. Another friend said that folks should rename her the Praying Mantis because she kills the men who try to keep up with her. I will include more sketches in the next note as well. I hope I see a bear in the Shenadoahs. I would describe some of the views in more details if I could command words to rival the experience. Fortunately, I have been taking plenty of pictures with the law of averages in mind. If I take enough photos, a few will turn out well. I will post them later this summer.